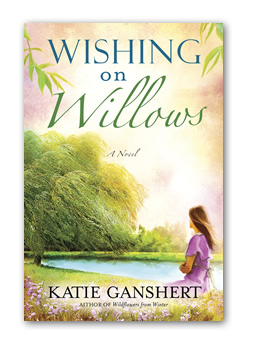 Katie Ganshert is the author of "Wildflowers from Winter", which I have not read, but has written this sequel "Wishing on Willows." The plot revolves the little town of Peaks Iowa changing to build houses and a community to fit a more wealthier population of people. Many of the residents are in favor of the changes, but The Willow Tree Cafe is a staples in the town and the owner does not want it to change. Robin Price is the owner of The Willow Tree Cafe. She is a widowed with a young son who has dreams for the cafe and isn't ready to part with them, especially since her husband passed away. The cafe was their dream together and she isn't ready to let that dream fade away. Ian McKay, a developer offers to buy The Willow Tree Cafe, Robin does not budge. 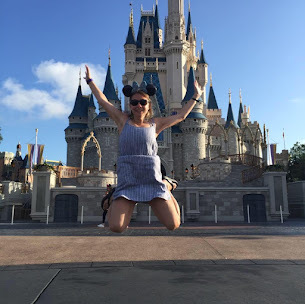 She cannot let go such a huge piece of her life. Ian is interested in more than just acquiring the cafe. His father owns the development company and Ian feels pressured to get the cafe. Not to mention his mother is dealing with cancer and he is feeling even more forced to acquire this business. Will Robin and Ian have a romance or will the guilt of her husbands death and memory keep her from loving again? Will Ian's business involvement be more important than finding love??? Who knows.. You'll have to read the book to find out. Thank you Waterbrook for allowing me to read and review this book. The oponions expressed here are my own.